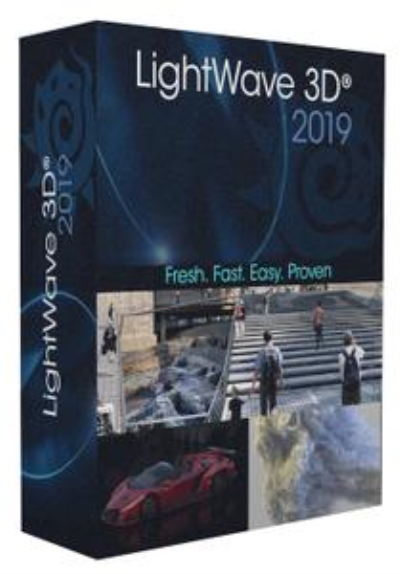 NewTek LightWave 3D makes it possible for anyone to become a 3D artist and animator. The software is affordable, complete, easy to learn and use and well established as one of the leading 3D systems on the market for producing beautiful photo-real renders as well as incredible anime. This complete out-of-the-box 3D animation solution now offers real-time collaborative 3D interactivity through a bridge to Unreal Engine. LightWave 3D enters the Real-Time Age for interchange with this workflow link between the Unreal Engine and LightWave 3D, focusing on LightWave driving Unreal changes iteratively. Multiple LightWave seats are able to connect to the same Unreal Editor simultaneously to enable real-time collaboration between artists. The bridge uses NewTek's proven NDI network discovery mechanism for easy automatic configuration, and can be limited to single project use in Unreal, or installed as a general plugin for use in all Unreal projects. Build LightWave 3D assets from many FBX files. The ability to pull materials apart and build them to your tastes is new to LightWave 3D 2019. There is access to Fresnel Functions, Material Components and Material Integrators. The Material Tools Group has been updated with new nodes to support this capability. LightWave 3D 2018 introduced the ability to import and render an OpenVDB fog volume. New for LightWave 3D 2019 is a set of node tools that allow OpenVDB content creation. You can now create OpenVDB grids from meshes, particles, and even the shape primitive distance estimator. The tool kit allows for live Constructive Solid Geometry (CSG) operations, grid filtering including level set tracking, smoothing, dilation and erosion. Solvers are included that allow for fluid simulation and smoke and fire effects. Metamorphic is a multipurpose animatable mesh sculpting and vertex map manipulation plug-in for LightWave 3D 2019 that works in Layout, and takes full advantage of the new capabilities of the modifier stack.